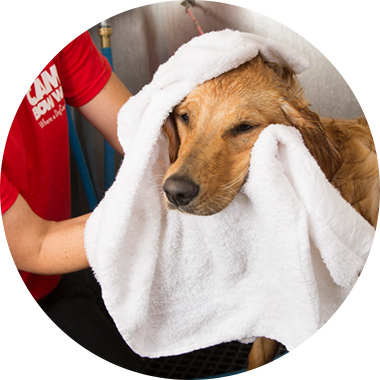 Contact us at (704) 527-3647 to learn more about our dog grooming services. Massage bath, hand blow dry and brush out, ear cleaning, nail trim. Add Day Care services to your S'Paw Day Package for only $15 more!